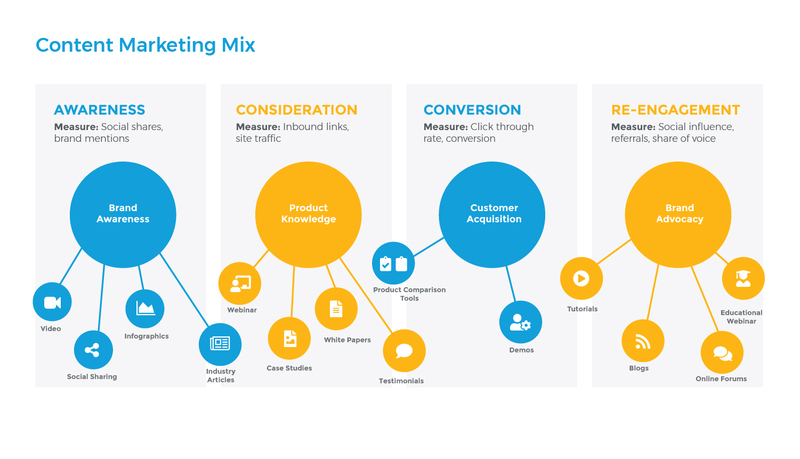 Inbound Marketing is a hand-picked group of content and digital solutions that when used in rhythmic harmony, ensures a steady flow of web traffic and drives action. Proactive marketing is a marketer’s holy grail and requires building and maintaining momentum to ultimately increase conversions. It’s not easy to just come up with impactful and engaging content that you can whip into a social post or email blast. Developing a content calendar helps you strategically plot out what to post and when. You stay ahead of the game while also adding hyper-relevant content to the mix in real-time. Developing and deploying high-quality content, like ebooks, infographics, white papers, and blog posts, increases your ROI by driving a relevant audience to your website. It gives them a reason to request more information, resulting in a strong conversion opportunity. Many benefits can be packed into one landing page. Landing pages help boost SEO/SEM, improve trackability, capture users’ information, increase conversions, improve credibility and spreads brand awareness. Using the latest web standards will make your website more visible to search engines and web users. It starts with building a clear site architecture then transitions into maintaining a positive reputation, driving qualified leads and conversions. Peer into how people are interacting with your website and get real-time reports including dynamic heat mapping, conversion funneling and experience recording. Understanding intent improves experience, driving greater satisfaction and loyalty. You need accurate insights along the customer journey to instill confidence in making data-driven decisions. Search Engine Marketing (SEM), is a fantastic complement to SEO. Your credibility surges when online visitors see your website ranking high along with ads customized to their search. 84% of consumers use online reviews to help them make a decision on which business to choose. You can compete by posting positive responses and filtering out negative responses. Higher reviews generate more customers. Determine the mix of components (above) that fits your needs. Conduct a content audit to assess current content and determine opportunity benchmarks. Conduct a website audit to assess architecture, navigation, analytics, SEO and identify opportunity benchmarks. Continually develop, deploy and monitor content to incorporate insights into future tactics. 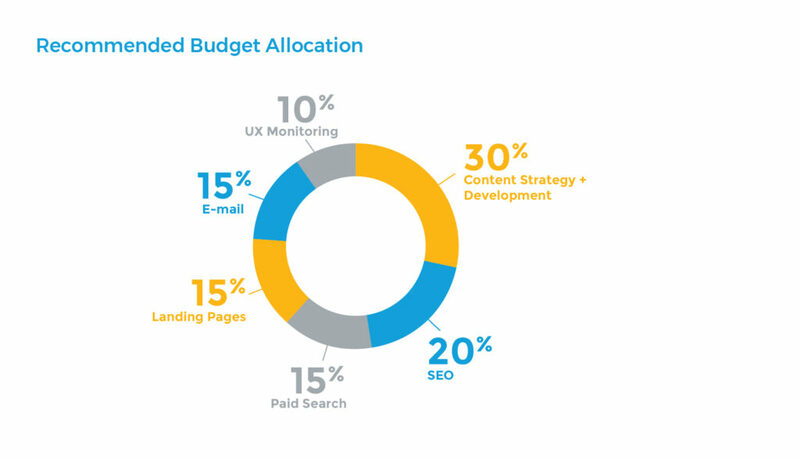 Evaluate your inbound marketing budget annually or semi-annually. If being content-driven or becoming a thought-leader is on your ever-growing to-do list, we’d love to help! Contact us.